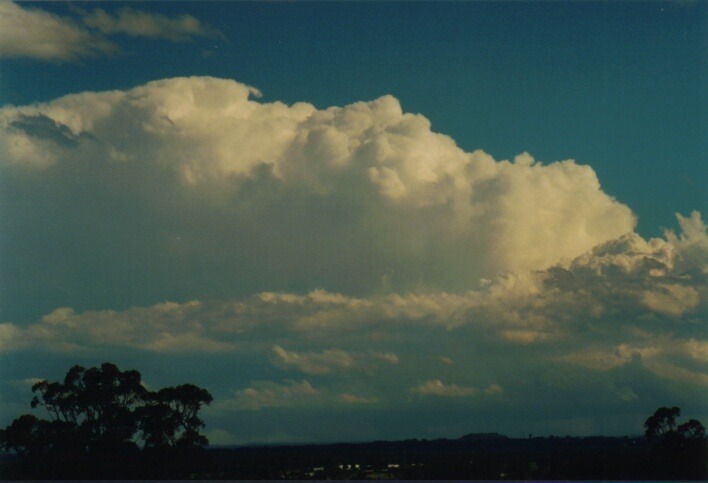 Although not the best of chases, the 19th October 2000 Illawarra severe storms were very impressive and photogenic. 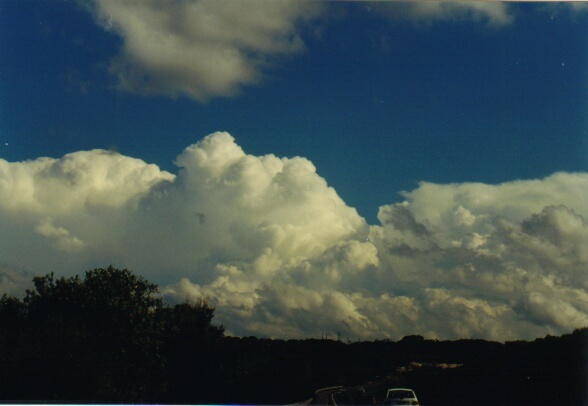 From observations and using evidence from data for that day, it is most likely that supercells occurred. I noticed the cloud band had begun to clear during the early afternoon. 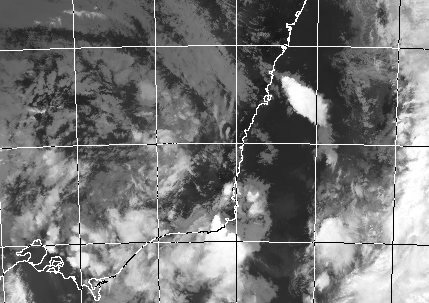 It was evident that there was a distinct line on the satellite picture where cloud and moisture seemed to be trapped along the trough behind the clearing edge of the cloud band. Were others in ASWA watching these developments? That was quickly answered as the mobile phone went off with a call from Paul Graham whilst in the classroom. The students' reaction: "we are not allowed to have mobile phones in the classroom so why are you?" 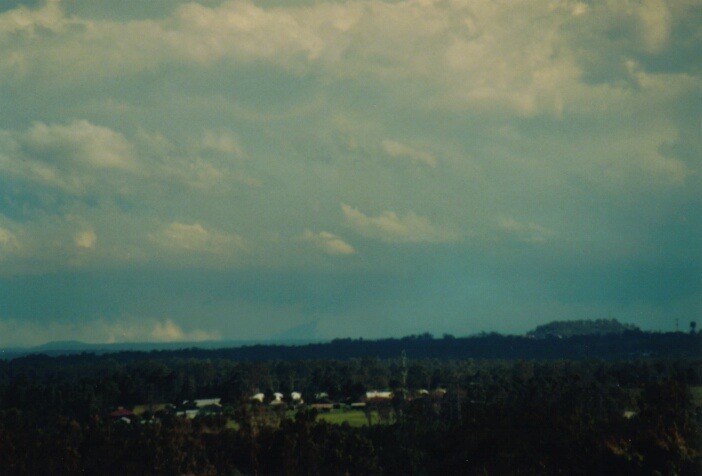 "Umm - Paul, I will call you later..."
During the early afternoon, you could see towers rising to the far southwest. They had the orange tinge to them due to the haze. I was hoping they would not escape off the coast before I could leave work. I had to chair a quick meeting to give a survey - and boy did I make it quick!! 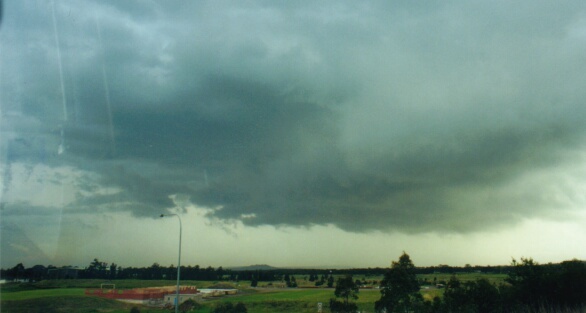 I was on the road to Rooty Hill shortly after 3pm. Well I never stopped at Rooty Hill. 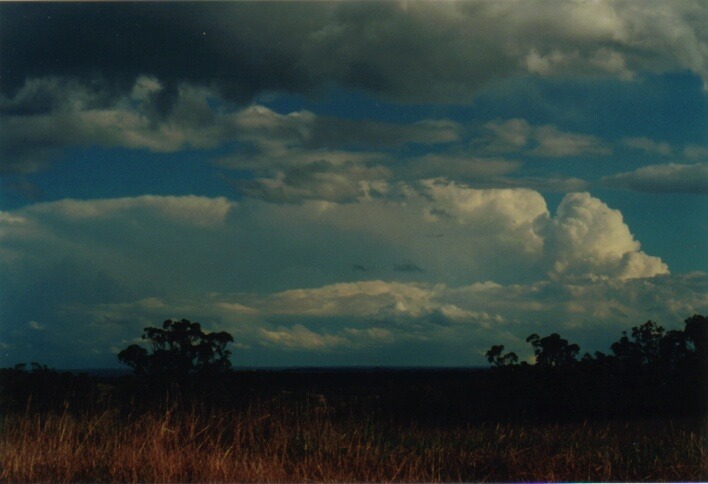 I continued on to a lookout at Kemps Creek which had a slightly better southerly view. 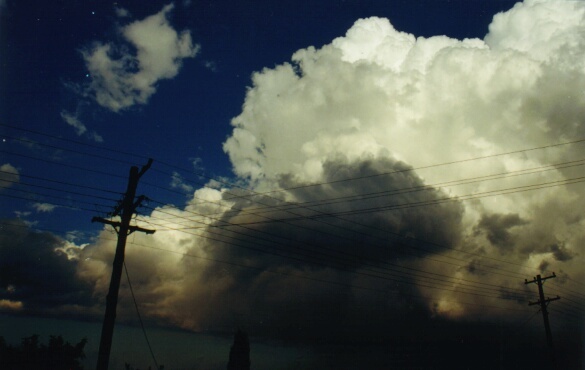 A major cumulonimbus cell had begun to explode. 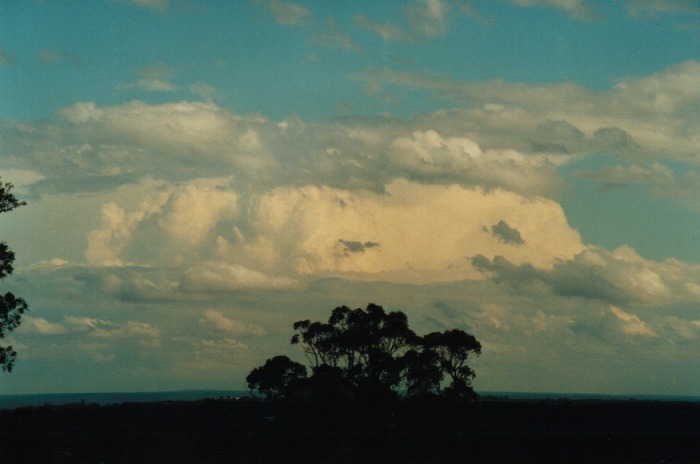 It is a well known fact that cells around Sydney normally would have flattened out before making an attempt of breaking through but this cell had shot straight up with a bulge at the top as the updraught hit the upper level inversion. The anvil, although existent, seemed to not be able to spread out fast enough as the updraught rose. With each strong updraught, there was evidence of attempted backshearing. I arrived at Kemps Creek and immediately took some photographs followed by some video. 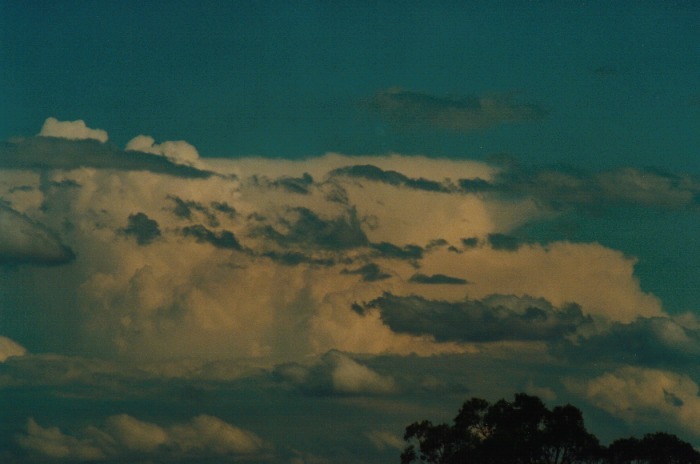 It became clear that the storms were developing along a line (which had shown on the satellite picture earlier). 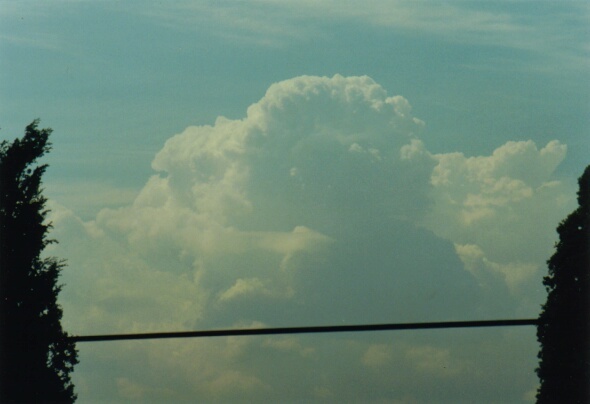 The tops of the cumulonimbus were crisp and clear. Each updraught was powerful and would merge with the adjoining main cell. The first cell was dominant and would have been literally exploding closer to or off the coastline. The flanking line of this cell faced northwest to north. 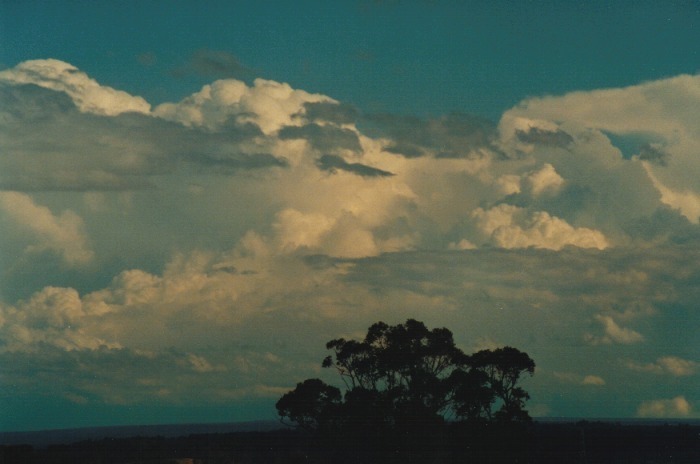 There also was a fresh, moist north-northeasterly wind providing good inflow into the storm. An easterly would have been more ideal. 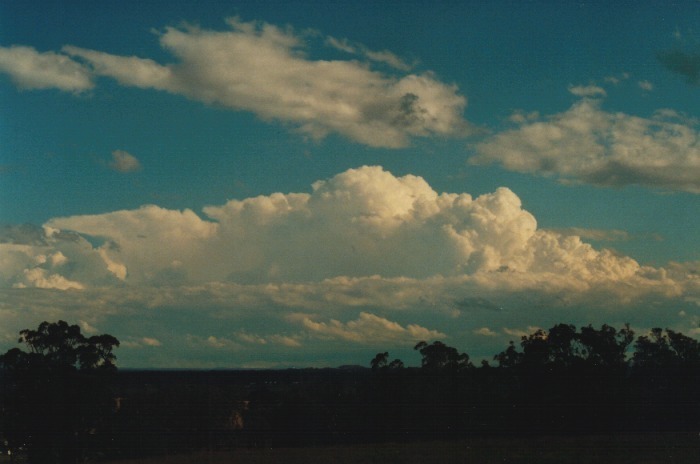 The towers immediately after the main cell were now also exploding and after a few updraughts developing into a second powerful cell. 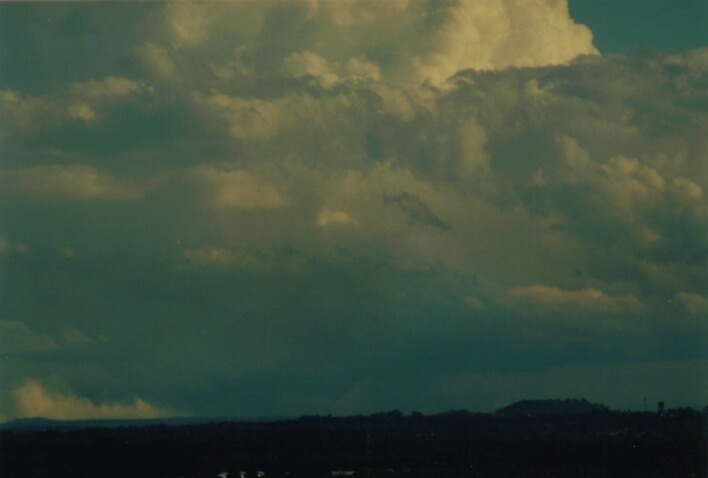 In the meanwhile, I kept my eye on what was developing to the west over the mountains. 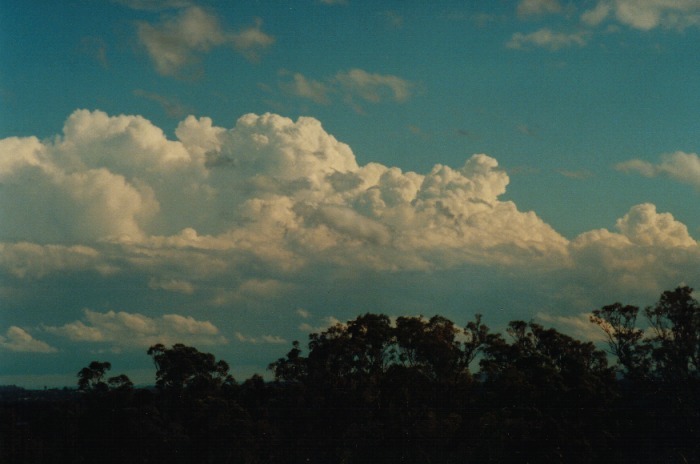 There were cumulus congestus towers everywhere and a nice base was developing. David Croan and Paul Graham were on their way. Matt Smith and Daniel Weatherhead had phoned and were on their way south. 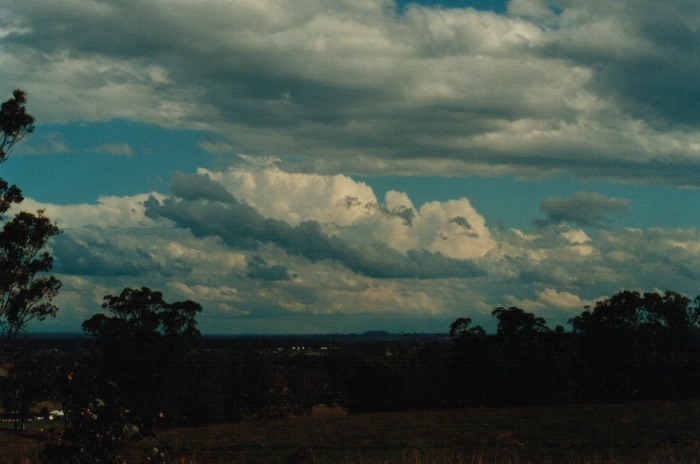 Although I was hoping that storms would develop in the Sydney region, it was Paul Graham who pointed out that it seemed that drier air had moved through. Winds were northerly at the surface but just above, there was a dry northwesterly wind penetrating and this had developed a cap. 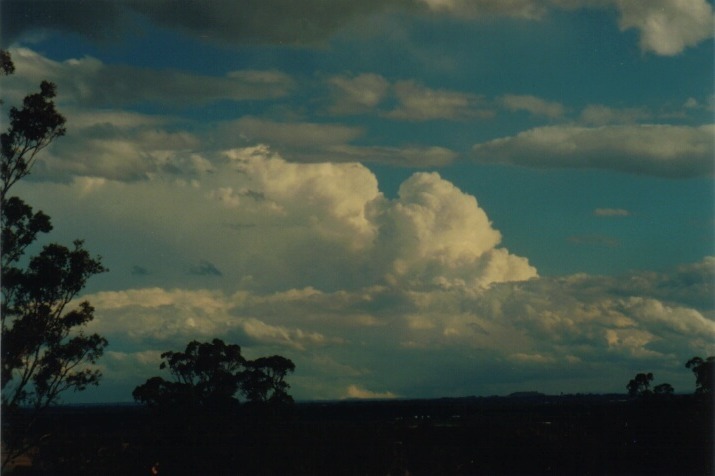 What this meant was that if storms did develop in Sydney they would have been strong storms but more surface heating would have been necessary. I was not too disappointed though as I had the opportunity to watch the Illawarra cells. And boy were they taking off!! 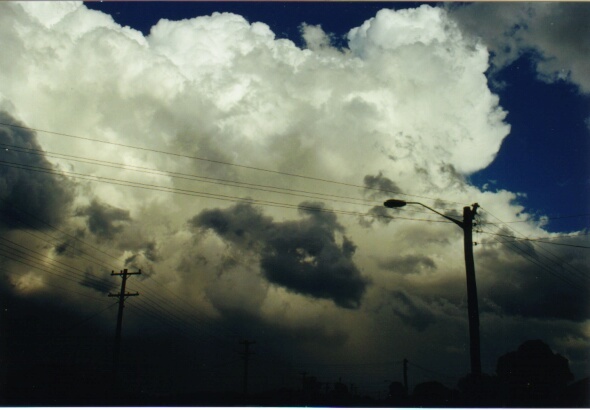 They had merged into an elongated mass of severe activity. Knowing the shear conditions were ideal, I kept watching the base of the main updraughts and it seemed that one particular cell had a distinct lowering. 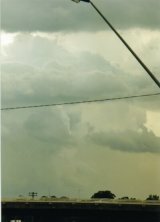 From observations of the video Matt Smith had taken, the same lowering had produced a funnel cloud under a wall cloud. I was just too far away to observe it properly particularly due to sunlight interference. 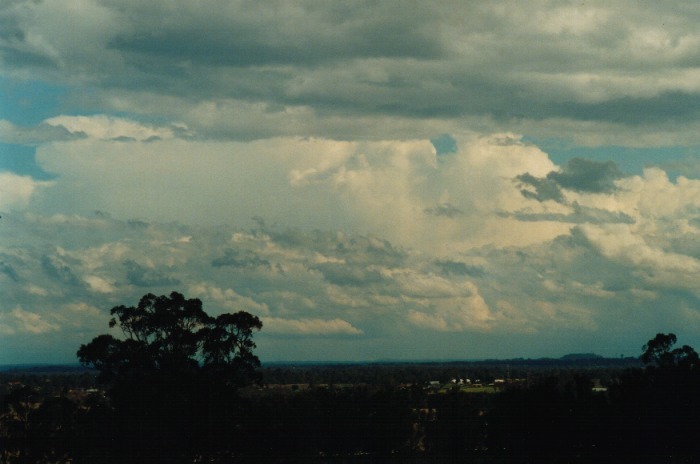 Lowerings observed below the base towards the centre of the lower parts of each picture are most probably a wall cloud and associated funnel cone. 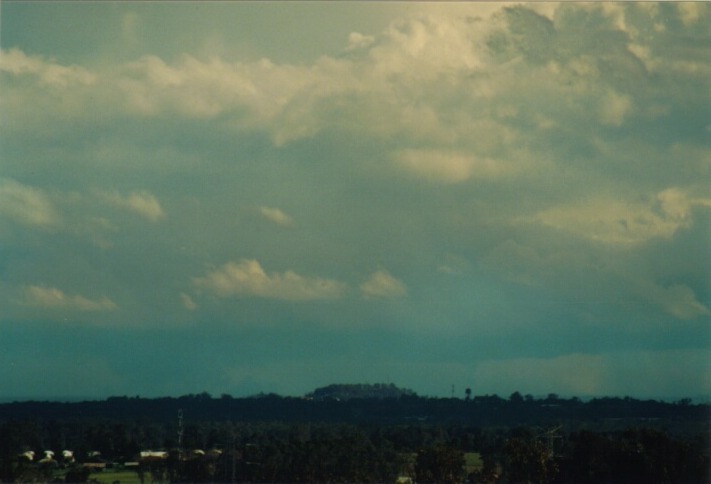 A funnel was observed about the same time by Matt Smith and Daniel Weatherhead from a closer observation point. 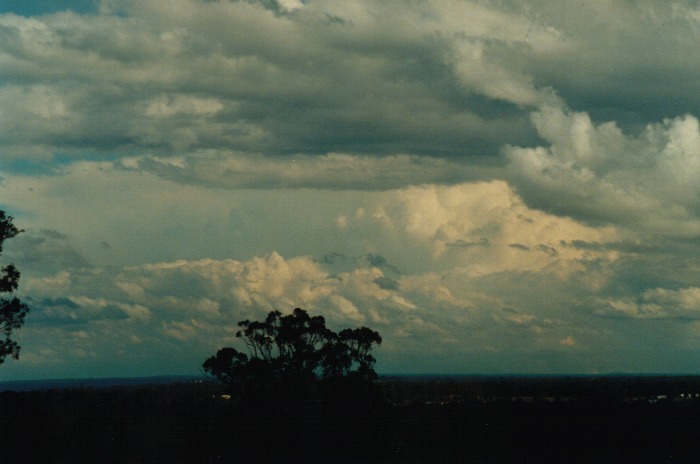 Paul Graham, David Croan and I continued to observe this system until the storms began to move within the direction of a few unneeded obstacles - trees... We then decided to move to Horsley Hill. What a terrible mistake!!! The Paralympics were on and The Equestrian event was held there. I simply had no intention of scaling the 6 foot high gate and wrestling the guard to get to the lookout area!!! We had to settle for Rooty Hill. The supercellular system had exploded with a large v-notch region evident - a clear sign of upper level divergence. Unfortunately, Sydney was not to enjoy the action. So we settled to some evening supper at the Rooty Hill RSL and called it quits for the day. 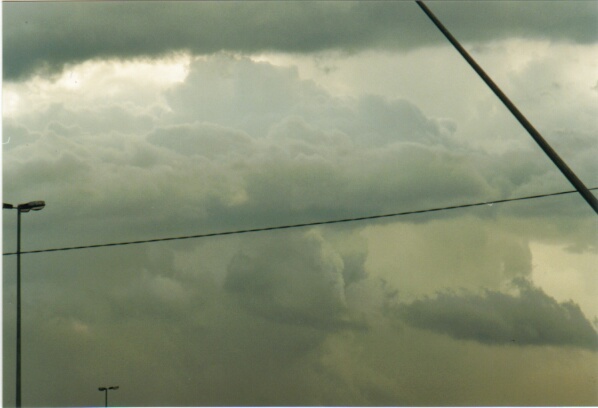 Several chasers including Mario Orazem also chased that day. 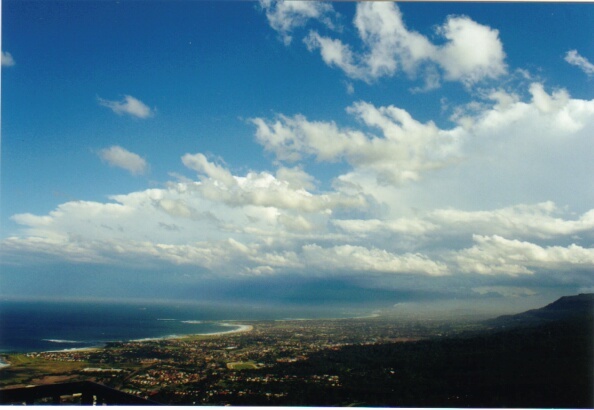 Mario's pictures from a more northeasterly view point with respect to the storm. 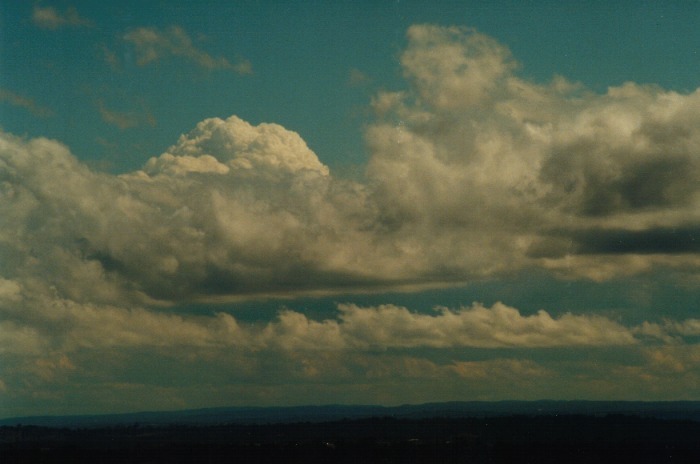 there was evidence of drier air aloft which aids in the evaporative cooling in the middle layers of the atmosphere. 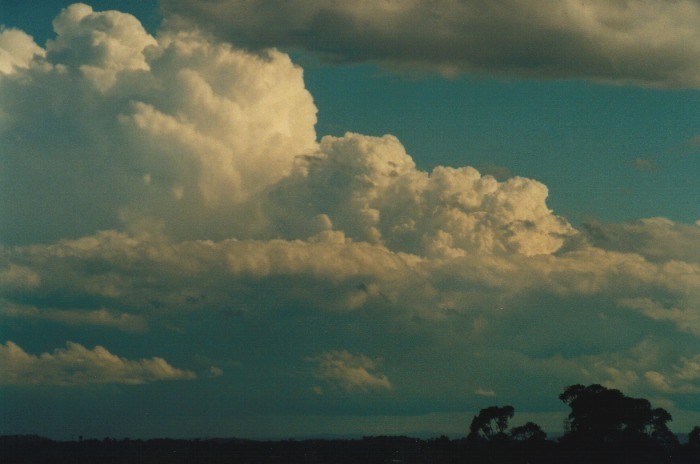 This has been noted as being a feature of many severe thunderstorms. 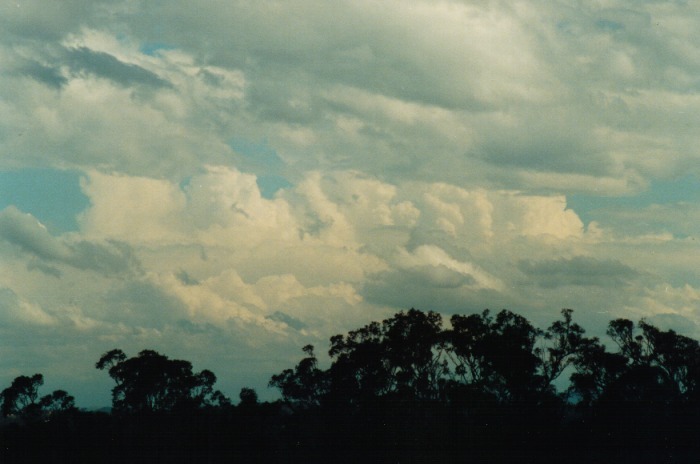 In fact the air became drier down to 850hPa which created a capping inversion. 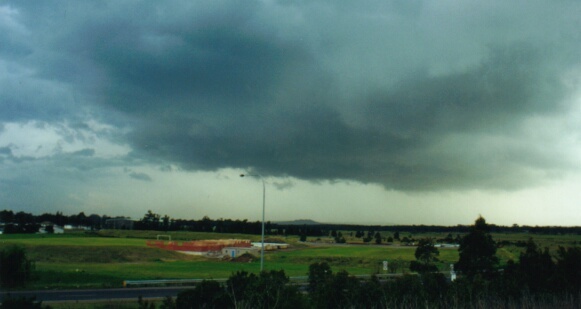 a funnel cloud was observed and photographed in the region directly under a main updraughts indicating that there may have been some rotation. 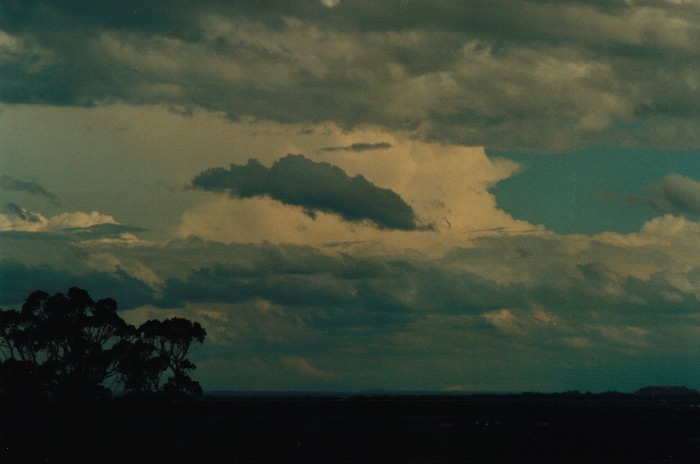 Observations by Matt Smith and Daniel Weatherhead indicate there was some rotation during the time the funnel was observed. This funnel coincides with the cone shaped lowering (wall cloud and/or funnel cloud) mentioned in this report.